Odila Maria Algeri was born on January 11, 1939, in Três Passos, RS. Her parents moved to Colorado when the municipality still belonged to Tapera, RS. She was born in a large family of five boys and five girls. She grew up in a Christian family which prayed and cultivated gospel values. 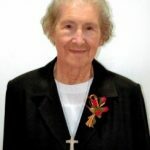 Feeling the call to follow Jesus more closely in service to others, she became a Postulant in 1959 in Passo Fundo, RS, where she also made her novitiate and first profession on February 13, 1962. After 55 years of consecrated life as an SND, the good and provident God, who she had served in her brothers and sisters, called her back home. 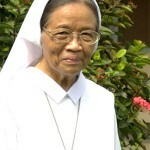 Sister Odila Maria ministered for 35 years as a nurse, for three years as a caregiver for the elderly, for eight years in the Pastoral Care of Children and for 21 years as a local superior. Her loving care for the sick, especially for those who were poor and most needy, was mentioned by several sisters. 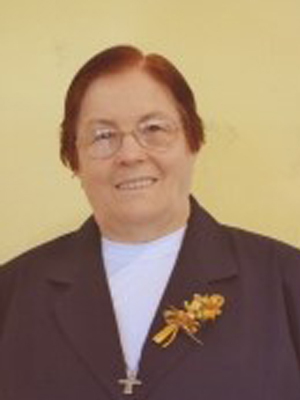 From 1991 to 1995, Sister provided nursing services in Guajará, Amazonas, where she ministered in the outpatient facility, in the Pastoral Care for the sick and for children. In 2015, Sister was transferred to Casa Betânia and started hemodialysis treatment. In 2016, she joined the Notre Dame School community in Passo Fundo to facilitate the treatment process at São Vicente de Paulo Hospital. As time went by, her health condition became weaker until last week after being admitted to the intensive care unit of the hospital, she passed away. 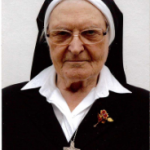 Her brothers, who came to the funeral Mass, gave a beautiful testimony of Sister Odila Maria’s love for their family and the bond she always cultivated with all of them, being a support both in joyful and difficult moments of life. They witnessed to her faith and love of Our Lady, expressed especially in the prayer of the rosary. Her favorite vocal prayer was “Jesus, Mary and Joseph, my soul is yours.” She is a model of simple prayer that reaches God. 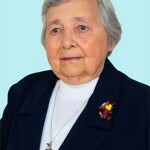 The simplicity of her life dedicated to the service of her brothers and sisters attests to a life spent for the benefit of others, serving Christ in her neighbors. May the good and provident God be her reward and endless joy.